There is a feature in Microsoft Word that allows one to “track changes”. 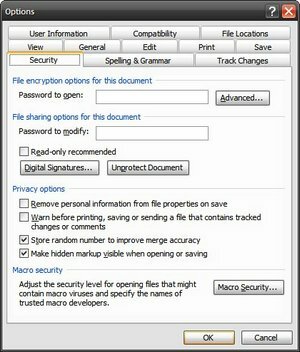 Using the Track Changes and Comments features in Microsoft Word, one can enable others to edit or add comments to the document without the original text being changed and, when the document is returned, any editing changes that have been made may be accepted or rejected. 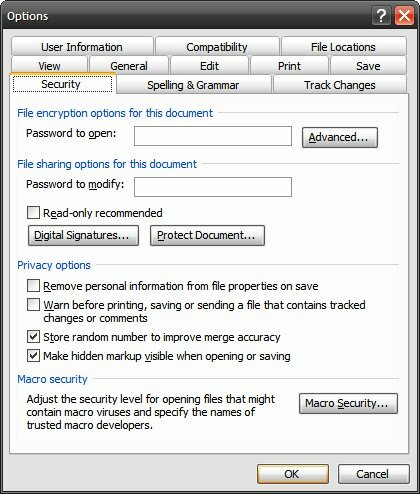 Go to the Security tab and under the File share options for this document, press the Unprotect Document button. When complete go back to the change and note that everything is enabled as in the image below. 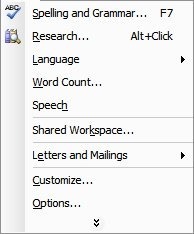 This will display the task pane (the same as in Word 2003) which will include the Stop Protection command.